There are things God will not give us simply because we will not ask for them! For some, it’s pride that keeps them from asking God. “I don't need any help” is their attitude. There are some things you could have had already in your life, or some that God will never give you because you will not ask Him for them, so, “Ye have not, because ye ask not.” (James 4:2) Why haven’t you asked God? You don’t want to get your heart right with God? You forgot? Lack of faith? Many people get through life without God’s help, but that’s a low plan to live on! When we get to Heaven, the last thing I would want to hear is, “See all these things I wanted to give you while you were on earth, but you forgot to ask!” If I do not receive something from God, I don’t want it to be because I didn’t ask for it. Many people pray daily to God, praise Him, but forget to share with God what really is bothering them. If God says no to your request, or wait, then praise Him anyway; but ask! There is a passage of scripture in Joshua 15:18–19, where Caleb’s daughter had received some land from her father, but it was a dry land without water. She said, “Give me a blessing; for thou hast given me a south land; give me also springs of water.” She was not afraid to ask. If you have the thought, “I should just be satisfied with what I have and not bother anyone,” then you may end up with a south land with no water on it. True, this would be better than no land at all, but why not have both? Notice she did not ask for one spring but for “springs,” and her father gave her at least four (see verse 19). When she asked, she could have said, “May I have a spring?” But hey, if you’re going to ask, then ask for “springs”! If we are going to ask just for our own selfishness, then yes, that would be wrong (James 4:3). But there are gifts from God we could have already had, had we been willing to humble ourselves and ask Him. Things you might ask God for include: joy, happiness, peace, a wife or husband, to be a better father or mother, wisdom to answer a question or solve a problem, power and grace to do what God wants, a job, etc. Have you ever prayed for an hour? “What, could ye not watch with me one hour? Watch and pray,…” (Matthew 26:40–41). “Casting all your care upon him; for he careth for you.” (I Peter 5:7). I would rather do spiritual battle in prayer for one hour on my knees than to worry about something for one week! “Be careful for nothing; but in every thing by prayer and supplication with thanksgiving let your requests be made known unto God. And the peace of God, which passeth all understanding, shall keep your hearts and minds through Christ Jesus” (Phil 4:6–7). Pray and ask God to give you peace that your problems will be resolved. There are two parables where Christ teaches us that if we do not receive what we want, then keep praying (Luke 11:5–8, 18:1–5). Why? One would think, “If God wants me to have it, He will give it to me, and if not, then why should I keep asking Him for it?” Well for one thing, if we keep praying for something, eventually we will have to ask ourselves what our motive is; “Why do I really want this?” Or, God may want you to give up some things (I Samuel 1:10–17). “Delight thyself in the LORD; and he will give thee the desires of thine heart.” (Psalm 37:4) What is the desire of your heart? If we go every day to the Lord in prayer for our heart’s desire, eventually we will ask, “What is your will Lord?” And be willing to say, “O my Father, if it be possible, let this cup pass from me: nevertheless not as I will, but as thou wilt.” (Matthew 26:39) Spending time with God is always good, I see myself more clearly (my needs) and God’s will for my life better. Also I am more thankful to Him for his patience and love for me. 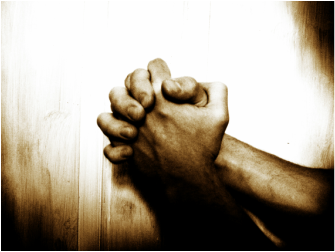 If we keep praying, we will get close to God. “Draw nigh to God, and He will draw nigh to you” (James 4:8). Some of the problems and burdens we have are designed by God, not only to turn us to Him, but also to keep us where He wants us (II Corinthians 12:7–10). If we always get what we want the first time we ask, we make God into our own personal servant. And we also forget about Him just as fast, or until the next time we need His help; and we don’t appreciate as much what He has done for us. I prayed for years that my dad and mom would be saved. How important is it to you to get your desire from God? A dream is a precious thing, and it is worth the extra effort to not only commit it to prayer, but also, if need be, to fast for it. Fasting increases your power in prayer (I Corinthians 7:5, Mark 9:29). Thankfully, God oftentimes answers prayers immediately. One day, my pastor asked me to build a platform for the new electric organ the church had bought. Our Sunday services were in one building, but our midweek services were in another building across the street. So to get the platform for the organ back and forth between the two buildings, we would need wheels on it. I told him I could build the platform, but if he wanted anything more than shopping cart wheels, I could not help. He assured me he had confidence that I could make some thick rubber wheels with bearings in them. And I assured him I couldn’t. Making something out of wood was one thing, but metal supports for wheels and special bearings were, for me, an impossible dream. I looked all that week for the proper supplies in every hardware store I could think of, but to no avail. I might add, this was back in 1977. Had it been today, I could have found something appropriate. I prayed a short prayer that night and simply said, “Lord, I don’t mind making this platform, but I don’t want to make something that would be junk and wreck the new organ.” That next morning I set out to look in one more store for some larger wheels. As I walked out the church gate, I was stopped by four boys, who ran right up alongside me, even blocking my exit. They were dragging four commercial casters attached to short wooden planks. The wheels were the type professional movers use. They were about ten inches tall and three inches wide, and they were made of soft rubber with ball bearings in both the wheels and on the metal supports. Later that day when the pastor came by and saw the new cart with the commercial wheels, he said, “I knew you could do it.” And when he asked where I found the wheels, I said, “They fell out of a truck and landed in our driveway!” It was special delivery, right to our gate, as I was passing through it. A minute later and I would have driven off in my car. It was better than I hoped for, and the price was right—free!